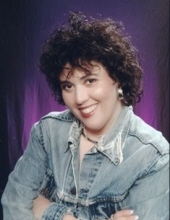 Sandra Renee West age 53 of Pikeville, Kentucky passed away Tuesday, October 30, 2018 at her home. She was an employee of UPike and was a member the House of Prayer and Worship. Renee was born in Pikeville, Kentucky on January 25, 1965 the daughter of the late Billy Joe and Lurlene Carter Howell. She was preceded in death by her mother, Lurlene Howell in 1998 and her dad, Billy Joe Howell in 2014. She was also preceded in death by three brothers, Ricky Joe Howell in 1962, Mark Keith Howell in 1994 and Billy Wayne in 2016. She is survived by her husband, Ronnie Jay West and two sons, Ronnie Jay West II and Ricky Joe West all of Pikeville, Ky., two step-daughters, Misty Michelle Ratliff of Lexington, Ky. and Crystal Scott of Kendallville, Ind. Three brothers, Zachary Howell (Diane), Vince Howell and Bruce E. Howell all of Pikeville, Ky. and a special sister-in-law, Kathy Lynn Blackburn of Prestonsburg, Ky.
She is also survived by six grandchildren, Ronnie Jase West, Adyson Claire Young, Trenton Dean Ratliff, Jasmine Lynn Ratliff, Ryan Parsley and Michaela Parsley. To send flowers or a remembrance gift to the family of Sandra Renee West, please visit our Tribute Store. "Email Address" would like to share the life celebration of Sandra Renee West. Click on the "link" to go to share a favorite memory or leave a condolence message for the family.